At the proposal of the Minister of Planning and Investment and the Minister of Construction. 1. This Decree guides November 29, 2005 Bidding Law No. 61/2005/QH11, and June 19, 2009 Law No. 38/2009/QH12 of the National Assembly, amending and supplementing a number of articles of the laws concerning capital construction investment (below referred to as the Amending Law), and the selection of construction contractors under November 26, 2003 Construction Law No. 16/2003/QH11 of the National Assembly. 2. The selection of contractors for bidding packages of ODA-funded projects complies with Clause 3, Article 3 of the Bidding Law. The procedures for submission, appraisal and approval of relevant contents in the course of contractor selection comply with this Decree. 1. Use of state capital referred to in Clause 1, Article 1 of the Bidding Law covers spending in the form of purchase, hire or hire-purchase. The state capital portion of 30% or more in the total investment or investment capital amount of an approved project shall be determined based on each specific project but not on the amount of contributed state capital in the total registered capital of the enterprise. 2. Dossier of requirements means the entire documentation used for contractor appointment, competitive offers, direct procurement or contractor selection in special cases, including requirements for a bidding package which serve as legal grounds for contractors to prepare dossiers of proposals and for the bid solicitor to evaluate such proposals in order to select a contractor that satisfies the requirements in the dossier of requirements; and serve as a basis for the negotiation. Finalization and conclusion of contracts. Investors shall decide on contents of dossiers of requirements. 3. Dossier of proposals means the entire documentation prepared and submitted by a contractor based on the dossier of requirements. For the form of competitive offers, dossiers of proposals are also referred to as price advices. 4. Contractor selection results means results of open or restricted bidding or other forms of selection. 5. Violation of the bidding law means an act of failure to comply or fully comply with the provisions of the bidding law. 6. Bidding participation means contractors’ participation in open or restricted bidding. 7. Bidding package for selection of general construction contractor covers the selection of a general contractor to undertake an engineering (E) bidding package; a construction (C) bidding package; an engineering and construction (EC) bidding package; an engineering, procurement and construction (EPC) bidding package; and the formulation of projects, engineering, procurement and construction (turn-key). 8. Validity term of bid or dossier of proposals-means the number of days counted from the date of bidding closure or the deadline for submission of dossiers of proposals (counting from the time of bidding closure or the deadline for submission of dossiers of proposals to the 24th hour of the same day) to the 24th hour of the final effective date stated in the bidding dossier or dossier of requirements. 9. Validity term of bid security equals the validity term of a bid dossier plus 30 days, counted in days from the date of bidding closure (counting from the time of bidding closure to the 24th hour of the same day) to the 24th hour of the final effective date stated in the bidding dossier. 10. Short list means a list of contractors invited to participate in bidding in case of restricted bidding, a list of pre-qualified contractors or a list of contractors with dossiers of expression of interest which have been evaluated as meeting requirements of dossiers of invitation to interested parties. 11. Investment report and work construction investment project report in construction activities are respectively construed as a pre-feasibility study report and feasibility study report. b/ They do not hold more than 30% of shares or contributed capital of each other. c/ For contractors being state enterprises established under the 2003 Law on State Enterprises and subject to transformation under the Enterprise Law: They do not hold more than 50% of shares or contributed capital of each other from the deadline for transformation under decisions of competent authorities. Contractors being state enterprises operating in special sectors or domains in which the State needs to hold the controlling stake shall comply with the Prime Minister’s regulations. d/ For bidding packages for selection of general engineering contractors, the determination of incentives is pursuant to Point a of this Clause. For other bidding packages for selection of general construction contractors, the determination of incentives is pursuant to Point b of this Clause. 2. When bids of foreign contractors are ranked equal, a higher rank will be given to the bid proposing higher domestic expenses. When bids of a domestic contractor and a foreign contractor are ranked equal following the application of incentives under Clause 1 of this Article, a higher rank will be given to the bid of the domestic contractor. b/ Other individuals who wish to possess such certificates. b/ Having a contingent of bidding trainers satisfying standards set by state management agencies in charge of bidding. b/ A bidding training course, after which certificates will be granted, must last for at least 3 days. d/ To annually report on their bidding training and retraining activities to the Ministry of Planning and Investment, concerned ministries, branches or localities for monitoring and sum-up. e/ Organizing and supporting bidding operation training and retraining activities. 1. 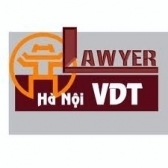 The sale price (tax inclusive) of a bidding dossier set shall be decided by the investor based on the size and characteristics of the bidding package but must not exceed VND 1,000,000 for domestic bidding. For international bidding, that price must comply with international bidding practice. 2. The expense for appraisal of contractor selection results, even when no contractor is selected, is equal to 0.01% of the bidding package price, but must be between VND 1,000,000 and VND 50,000,000. 3. The expense for the Advisory Council to deal with a contractor's complaint concerning bidding results is 0.01% of the bidding price offered by that contractor, but must be between VND 2,000,000 and VND 50,000,000. The management and use of expenses specified in Clauses 1 and 2 of this Article comply with current provisions of law. 1. The Bidding Newspaper is a non-business unit having revenues. 2. The Bidding Newspaper is a daily. - Investors and bid solicitors shall provide information specified at Points a thru f and Point h, Clause 1, Article 5 of the Bidding Law. With regard to notices of invitation for pre-qualification. bids, dossiers of expression of interest, and offers, information must be provided at least 3 working days before the intended dale of publication of such information. Other information specified in Clause 1, Article 5 of the Bidding Law must be provided within 7 days after the signing of relevant documents. The Ministry of Planning and Investment shall guide the provision of information and the timing and expenses for publication of bidding information on the Bidding Newspaper and bidding website. c/ The validity term of a bid must be specified in the bidding dossier but not exceed 180 days from the bidding-closing time. In case of necessity to extend the validity term of a bid, the contractor may be requested to grant a single or multiple extensions, provided that the total duration of all requested extensions must not exceed 30 days according to Clause 4, Article 31 of the Bidding Law. 2. In the course of implementation, the following bidding contents may be performed simultaneously: pre-qualification of contractors and compilation of bidding dossiers; approval of bidding dossiers and notification of invitation for bids; notification of bidding results and contract negotiation and finalization. For a bidding package which needs to be implemented before the investment decision is issued, the decision of the head of the project-preparing agency can be used as a basis. 2. Treaties or international agreements, for ODA-funded projects. 3. The approved design and cost estimate (if any). 4. Capital sources for the project. 5. Relevant legal documents (if any). The title of a bidding package indicates its characteristics, contents and scope of job, which are consistent with the contents of the project. When all conditions are met and depending on particularities of the project, a bidding package may include formulation of a pre-feasibility study report, a feasibility study report and the technical design. When a bidding package consists of separate parts (lots), the bidding plan should also indicate the title of each part. c/ For a bidding package consisting of separate lots, the estimated value of each part in the bidding package price must be clearly stated. Capital sources or the mode of arranging capital for payment to contractors must be clearly identified (breach bidding package. When ODA capital is used, the name of the donor and the capital structure (domestic and foreign) must be stated. The form of contractor selection (for domestic or international bidding, pre-qualification. invitation of interested parties, selection of individual consultants, if any) provided for in Articles 18 thru 24 of the Bidding Law. Clause 4, Article 2 of the Amending Law, and Article 97 of the Construction Law; and the mode of bidding provided for in Article 26 of the Bidding Law, must be stated. The time of selection of contractors to undertake a bidding package according to schedule must be stated. The time of selection of contractors shall be counted from the date of issuing bidding dossiers or dossiers of proposals to the date of entry into contract. For open bidding involving the making of a short list, the time of selection of contractors shall be counted from the date of issuing dossiers of invitation for prequalification or dossiers of invitation for expression of interests to the date of entry into contract. Depending on the characteristics of the bidding package, the applicable form of contract must be identified pursuant to Articles 49 thru 53 of the Bidding Law and Article 107 of the Construction Law. In case a bidding package consists of many jobs corresponding to different forms of contract, the contract for this package may consist of these forms of contract. The duration of performance of a contract shall be counted from the date the contract takes effect to the date the parties fulfill the contractual obligations, ensuring that the execution of the bidding package accords with the project implementation schedule. The investor shall submit a bidding plan to the competent person or a person authorized to decide on investment for consideration and approval; and concurrently send that plan to the appraisal agency or organization. When submitting the bidding plan to the Prime Minister, the investor shall also send it to a relevant line ministry for making written comments to the Prime Minister for consideration and approval. For consultancy service bidding packages executed before the investment decision is issued and in case the investor has been identified, the unit attached to the investor shall submit a bidding plan to the head of its investing agency for consideration and approval. In case the investor is not yet identified, the unit assigned to prepare the project shall submit a bidding plan to the head of its agency for consideration and approval. The head of the concerned investing agency and the head of the unit assigned to prepare the project shall designate a subordinate unit to appraise the bidding plan before approving it. - Jobs specified in the bidding plan, with their contents and values constituting bidding packages to be executed in any of the forms of contractor selection prescribed in Articles 18 thru 24 of the Bidding Law, Clause 4, Article 2 of the Amending Law, and Article 97 of the Construction Law, including such jobs as mine, bomb and explosive sweeping, building of resettlement areas, preparation of construction sites, work insurance, and training: and grounds for division of the project into bidding packages; and all contents specified in Article 10 of this Decree for each bidding package. For a bidding package not subject to open bidding, the investor shall clearly state in the bidding plan-submitting document the reason(s) for the application of another form of contractor selection pursuant to the Bidding Law, the Construction Law, the Amending Law and this Decree. For a bidding package of a value within the limit eligible for the form of contractor appointment or subject to the form of contractor appointment under Clause 4, Article 2 of the Amending Law and Clause 1, Article 40 of this Decree due to other special requirements, the investor shall assure that contractor appointment is more efficient than open bidding by quantifying the benefits of socio-economic and other elements. - Jobs ineligible for elaboration of a bidding plan (if any): their contents and values. The total value of jobs already done, jobs to which no form of contractor selection is applicable, jobs falling under the bidding plan and jobs ineligible for elaboration of a bidding plan (if any) must not exceed the total investment of the project. When necessary to make a bidding plan for one or some bidding packages to be executed in advance under Clause 2, Article 6 of the Bidding Law, the bidding plan-submitting document must still contain the contents specified in this Clause. Upon submitting a bidding plan, the investor shall enclose copies of documentation used as a basis for the elaboration of that plan as prescribed in Article 9 of this Decree. b/ The appraisal agency or organization shall make a report on appraisal results in compliance with Article 65 of the Bidding Law and submit it to a competent person for approval. The competent person or the person authorized to decide on investment: the head of the project-investing agency or the head of the unit assigned to prepare the project in case the bidding package is executed before the investment decision is issued shall approve the bidding plan within 10 days after receiving the report of the appraising agency or organization. The Prime Minister's approval of the bidding plan complies with the Government’s Working Regulation. 1. Based on the characteristic and size of a bidding package, pre-qualification of contractors may be conducted under Clause 7, Article 2 of the Amending Law to select capable and experienced contractors that meet requirements of the bidding package and invite them to participate in the bidding. 2. Pre-qualification of contractors must be approved by competent persons in bidding plans. Pre-qualification dossiers are evaluated on the basis of the "pass" or "fail" criterion, which must be stated in the dossier of invitation for pre-qualification and include criteria for each of the requirements on technical capability, financial capability and experience. For construction and installation bidding packages and bidding packages for selection of general construction contractors, excluding general engineering contractors, criteria for evaluation of pre-qualification dossiers must also conform to construction activity capability requirements under the construction law. A notice of invitation for pre-qualification (including an English version for international bidding) must be published on the Bidding Newspaper in 3 consecutive issues and on the bidding website. Apart from being published on these media, such an invitation may also be published on other mass media. Dossiers of invitation for pre-qualification shall be supplied free of charge to contractors from the first date of publication of the notice of invitation for pre-qualification till the date of expiration of the time limit for submission of pre-qualification dossiers (closure of pre-qualification). Bid solicitors that fail to distribute dossiers of invitation for pre-qualification under regulations or take any action to prevent contractors from receiving such dossiers shall be handled under Point 1, Clause 1, Article 65 of this Decree. The time for preparation of pre-qualification dossiers must be at least 10 days for domestic bidding or 20 days for international bidding, counted from the first date of issuance of the dossier of invitation for pre-qualification. The bid solicitor shall receive pre-qualification dossiers from contractors and manage them under regulations. Pre-qualification dossiers submitted in compliance with the requirements of the dossier of invitation for pre-qualification shall be opened publicly right after the closure of pre-qualification. Pre-qualification dossiers submitted after the closure of pre-qualification will be regarded as invalid and rejected. The bid solicitor shall evaluate pre-qualification dossiers according to criteria stated in the dossier of invitation for pre-qualification. The bid solicitor shall submit pre-qualification results to the investor for approval. After the investor approves pre-qualification results, the bid solicitor shall notify in writing those results to the contractors who have participated in pre-qualification and invite contractors who have passed pre-qualification to bidding. Bid solicitors that fail to distribute dossiers of invitation for expression of interest under regulations or take any action to prevent contractors from receiving such dossiers shall be handled under Point 1, Clause 1, Article 65 of this Decree. - The bid solicitor shall evaluate dossiers of expression of interest submitted by contractors according to the evaluation criteria, select and submit to the investor for approval a short list. The bid solicitor shall select a short list of at least 5 contractors that are regarded as fully capable and experienced (under Article 19 of the Bidding Law) and wish to participate in bidding, and submit the list to the investor for approval. - State policies on tax, salary and incentives in international bidding or relevant regulations. When the bidding package needs to be executed before the issuance of an investment decision, the investor or unit assigned to prepare the project shall base itself on relevant documents to compile a bidding dossier and submit it to the head of the investing agency or the head of the unit assigned to prepare the project for approval. - Other peculiar important requirements of the bidding package. Contractors that fail to satisfy any of the prerequisites stated in the bidding dossier will be rejected and their bids will not be further considered. Based on the appraisal report of the appraisal agency or organization, the investor shall approve the bidding dossier under Clause 19, Article 2 of the Amending Law. In case of non-application of the procedure of selecting a short list, the investor shall publish a notice of invitation for bids (including an English version for international bidding) on the Bidding Newspaper in 3 consecutive issues and on the bidding website. Apart from publication according to the above provision, such an invitation may also be published on other mass media. The bid solicitor shall send letters of invitation for bids to contractors on the short list under Clause 1 of this Article. A letter of invitation for bids is made according to the form provided in Appendix II to this Decree (not printed herein). The duration from the time of sending letters of invitation for bids to contractors to the time of distribution of bidding dossiers is at least 5 days for domestic bidding or 7 days for international bidding. - Contractor’s personnel for execution of a bidding package. This content requires 50% -60% of the total points. The required minimum technical points must be determined but not lower than 70% of the total points. A bid with technical points not lower than the required minimum points is regarded meeting the technical requirements. - P in consideration means the bidding price after correction of errors and adjustment of flaws of the bid in consideration.